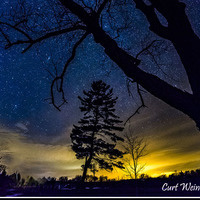 Photograph the starry night sky with your DSLR camera & lenses you currently own. Some photo gear essential to this would include a digital camera which allows removable lenses (DSLR) and a tripod. Strongly recommend a fully charged camera battery and a spare battery if available and a memory card. Optionally, you can bring a laptop with image editing software. The workshop will include a short review of images near the conclusion. This workshop is NOT for those wishing to photograph through a telescope. Clear nights are cool so bring a jacket. The program will be cancelled in the event of rain or overcast skies. Please Note – Payment will be due upon arrival at the program by check or cash only. Registration Required – Register by Thursday June 15th at 3pm. Class size is limited to only 10 seats. Buy Tickets Here Before it’s too Late! !